In Richistan, Robert Frank leads us on a tour of “Richistan,” the place where the current rich, the “Richistanis,” reside and prosper. Frank is a trustworthy guide since, like any good journalist who wants to really learn his subject matter, he totally immersed himself full time into studying and living among the rich for a year. The mid-80s TV series, Lifestyles of the Rich and Famous spotlighted the quirky extravagances of a rich person each week, whether it be gold-plated bathroom fixtures or a remote seaside getaway. Host Robin Leach always dramatically emphasized the prices of the luxury items, and viewers could not get enough of their peek into this dazzling world. 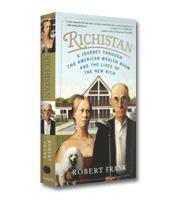 In Richistan: A Journey Through the American Wealth Boom and the Lives of the New Rich, Robert Frank leads us on a tour of “Richistan,” the place where the current rich, the “Richistanis,” reside and prosper. Frank is a trustworthy guide since, like any good journalist who wants to really learn his subject matter, he totally immersed himself full time into studying and living among the rich for a year. Counter to the old-school belief that the wealthiest people are born into wealth, Richistanis did not inherit their money, instead they pushed their way up through the middle class ranks to make it on their own. Most Richistanis pride themselves on their middle-class ethic, self-made fortunes and big spending. The earliest references to this group were probably the “nouveau riche” or the “new money” classification. According to Frank, to make it into the top 1 percent of wealthy Americans today, you’ll need a net worth of $6 million, which is twice the amount it took in 1995. And to get on the Forbes list of richest Americans, he notes you’ll have to be a billionaire. Forget gleaning much attention for achieving millionaire status these days; there are purportedly more than nine million of them. What takes this book beyond nosy-tourist fodder is its value as a socio-economic commentary about the new breed of do-it-yourself rich people who have “made more money, more quickly from more sources than any previous generation of wealth.” Frank points to supporting factors such as low-interest rates around the world, growing retirement accounts, rising corporate profits and increased global savings. Government policy has also contributed to personal fortunes through a push for privatization, deregulation and free markets, he reports. Some of the generic characteristics that Frank shares about the people he rubbed elbows with sound pretty familiar, like the fact that they don’t want to work on anything around the house or clean anything, and that they’d rather spend time with their kids. They worry about money and they worry about their kids. He talks about family squabbles and the Richistanis having to make choices about how to spend their money and how they want to give their children luxuries they never had growing up. 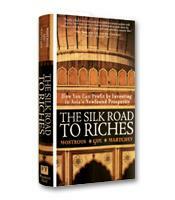 Frank settles on the familiar designation of old money and its distinctive characteristics to establish what rich life was like before the wave of money sloshed in during the late 80s ushering in a new group of Wall Streeters, corporate raiders and tech pioneers. Frank surmises that “the old ruling elite” has been crumbling for more than 40 years, and he postures that they became too insulated from the outside world to remain competitive. Throughout the book we get glimpses of it. Old money families over the generations developed a certain code of values that circled around modesty, tradition, public service, charity and a sophisticated leisure style. A lot of their long-arm parenting involved the incorporation of boarding schools, summer camps, clubs, churches and Ivy League schools. Frank notes that a lot of emphasis was placed on keeping a low profile. The Richistanis, however, like to flaunt their wealth. They like to drive their own cars. They like to make donations so they can enjoy the praise. They are also too young to retire and too driven to relax. Economic growth overseas is luring Richistanis to be more international, and Frank’s prediction is that they will increase their investments all over the world and become more like global citizens, less attached to their own countries. Tradition seems out of place in this new country, which is a little sobering. 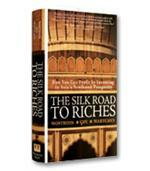 Yet Frank lends us some optimism that the new rich will use their power for good not evil. This is comforting along with knowing that just about anyone anywhere can become a Richistani, and the time-honored American Dream appears to be alive and kicking.